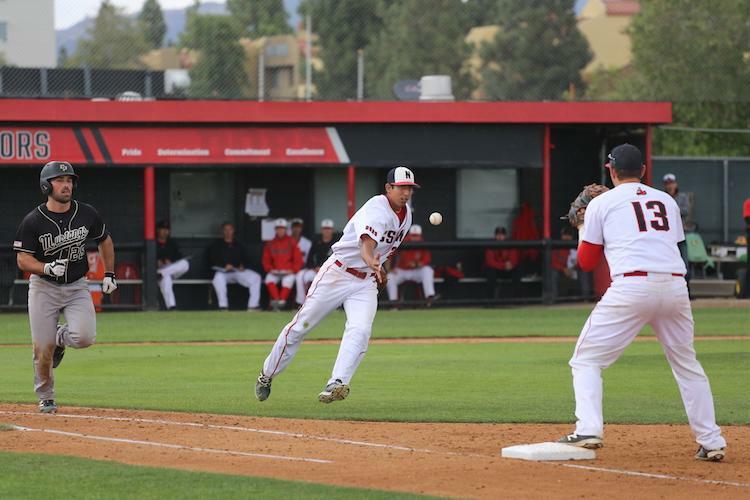 The CSUN baseball team’s return home was a victorious one. 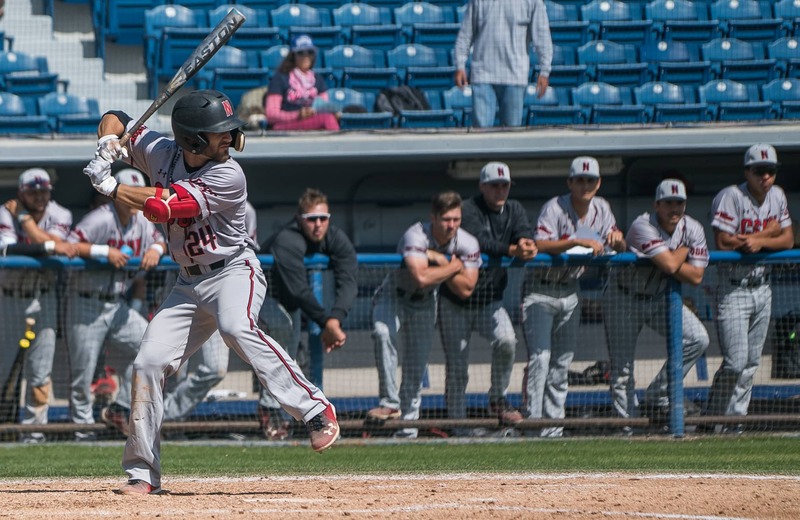 In a 20-12 defeat over the UCLA Bruins (6-6) on Tuesday, the Matadors hit three home runs and took advantage of the Bruins’ shaky pitching. 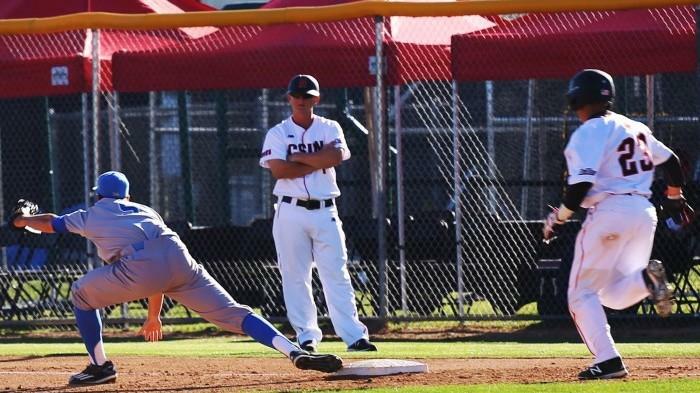 Although the Matadors gave up 12 earned runs, the Bruins’ had trouble keeping the ball in the zone. UCLA set a school record for hit batters in a single game, hitting seven players, including two that were hit twice. Starting the game for CSUN was sophomore Andrew Weston, who went two innings and gave up three hits. Pitching in relief were freshman Carter Yankie, who earned the win, senior Nick Viola, sophomore Joey Deceglie, junior Samuel Myers, and freshman Matt Campbell. 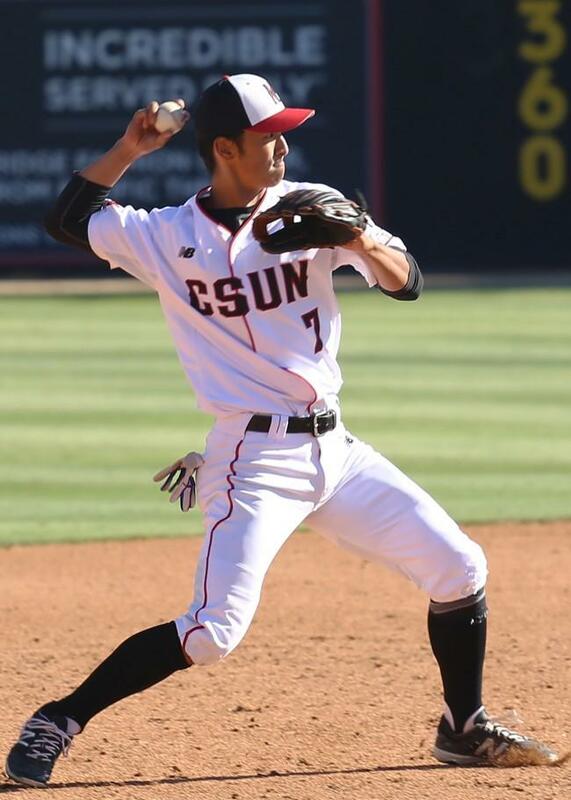 Yusuke Akitoshi, redshirt-senior short stop, throws out UCLA’s Brett Stephens in the third, March 8, 2016. Akitohi also scored four runs for the Matadors. 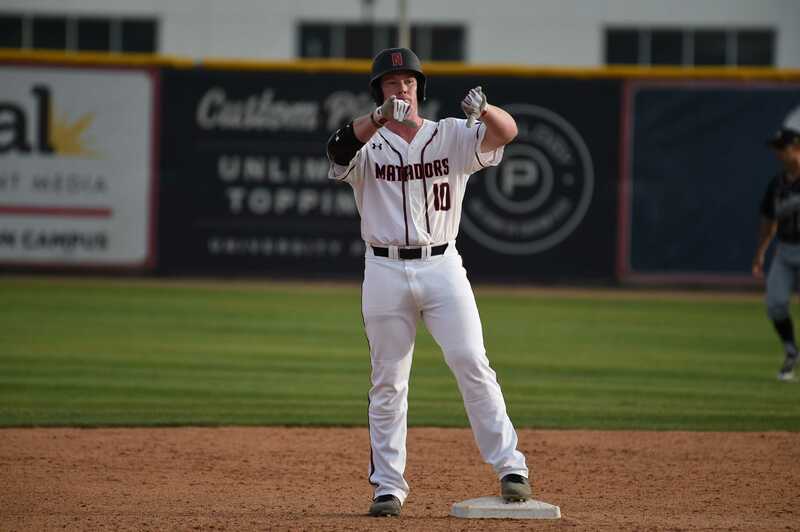 Leading the Matadors in RBIs (15) and tied for first in home runs (four), senior first baseman Branden Berry had another stand out game, going three-for-five with one home run, one double and six RBIs. Second in RBIs with 10 and tied with Berry in home runs, sophomore catcher Albee Weiss went three-for-five with two home runs and three RBIs. The Matadors wasted no time capitalizing on UCLA’s pitching, bringing in seven runs in the first inning, three of those runs coming from Berry’s homer to left field. 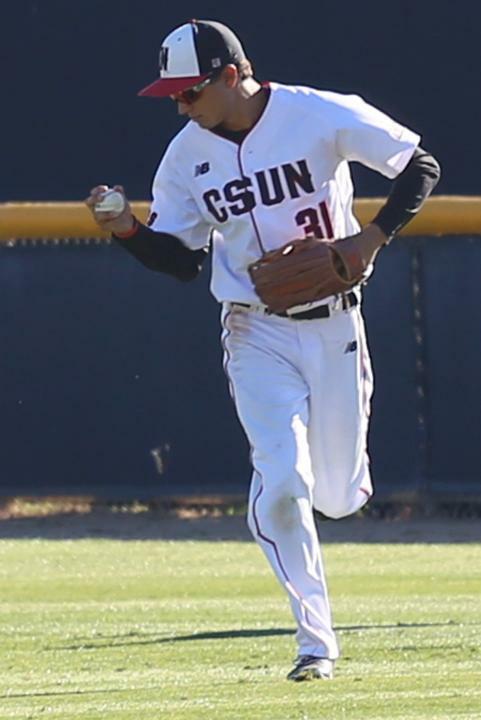 CSUN kept quiet until the fourth inning when the team scored three runs, two runs from Weiss’ first homer. 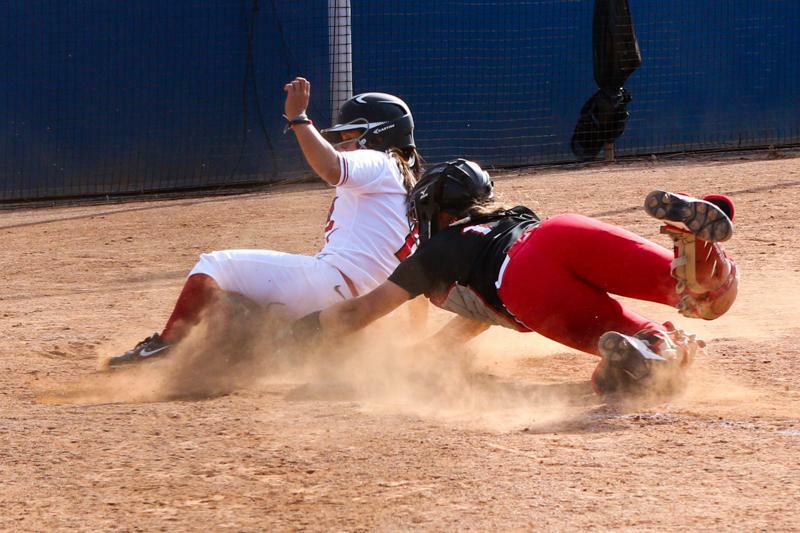 The sixth was another seven-run inning for the Matadors, with two doubles, a wild pitch, a hit-by-pitch and a single. Elias Orona, sophomore outfielder, makes a sprinting catch in the top of the fifth, March 8, 2016. Orona knocked in three RBIs in the game. This was the first time in the last four games against the Bruins that CSUN has left victorious. 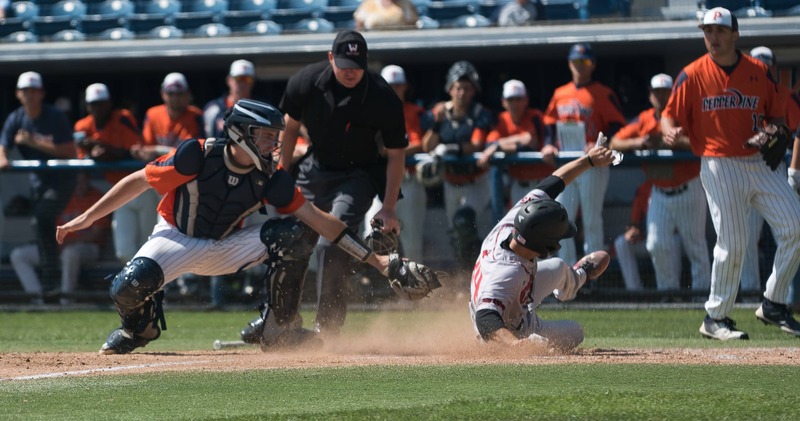 It extended the Matadors’ win-streak to five.